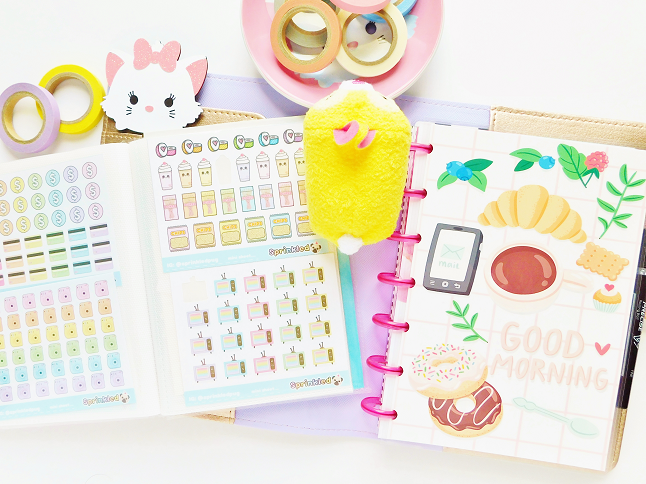 Ever since I bought a Mini MAMBI Happy Planner I wanted to show you guys how I decorate it because it's very different from the original Happy Planner. First off, it's a lot smaller which means there is not as much space to add stickers and to write in. 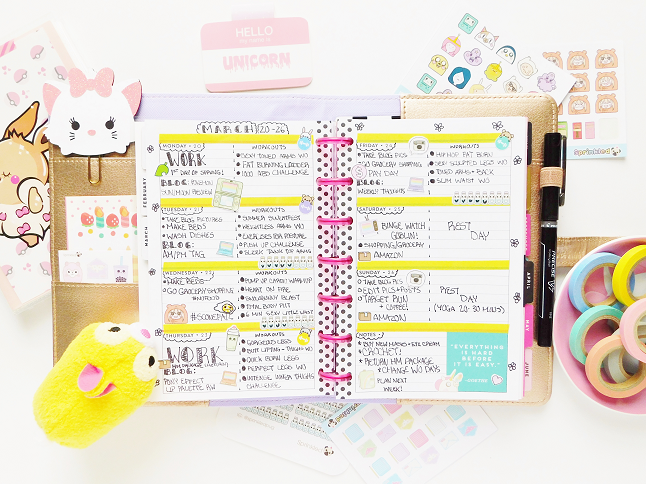 Second, it has a horizontal layout (The original size Happy Planner has a vertical layout) which I'm familiar with because before I started using the MAMBI planners I used a Ban.do planner which also had a horizontal layout. If you would like to see more planner spreads let me know so I can post more in the future. Here is an overview of the spread. There was no theme but since this was the first week of spring I wanted a more bright look so I added yellow washi tape to liven things up. The washi tape that I use is actually bigger than the lines on the planner but I don't really mind this. 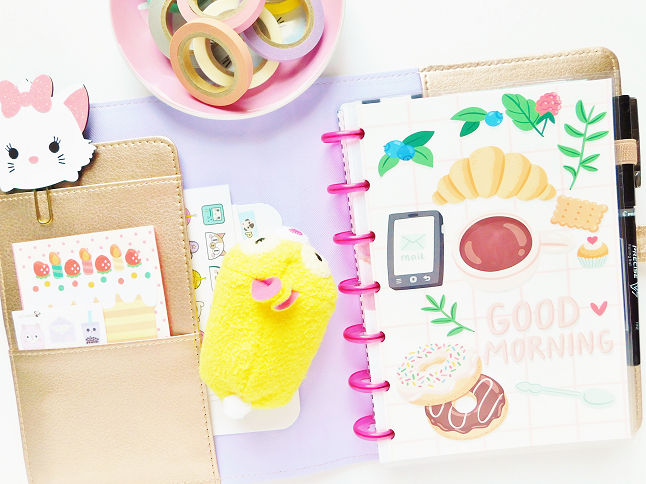 I mostly used Sprinkled Pug stickers because I'm currently obsessed with her stickers especially her mini sticker sheets because they are the perfect fit for this planner. 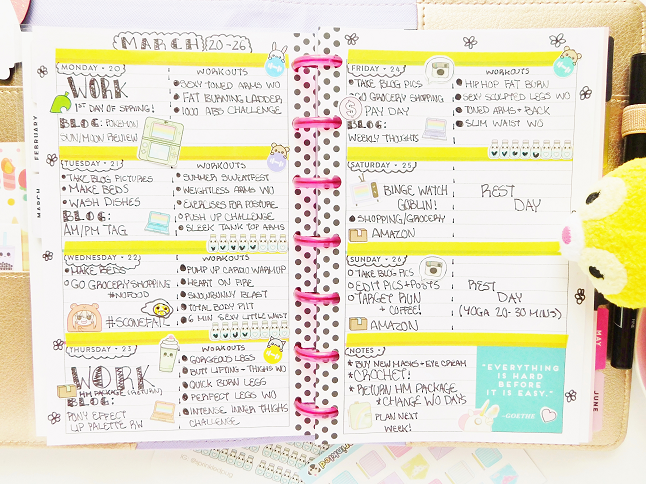 One of my favorite things about this planner is that it features a note section with a cute weekly box. Each week offers a different quote, weekly highlight, word of the week, etc. This week they included a quote. "Everything is hard before it is easy."